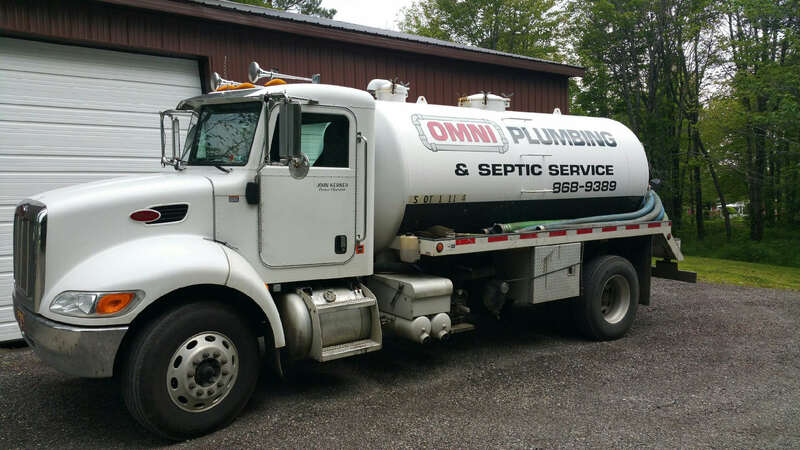 If you are looking for septic tank service and happen to live in the Erie, PA area, then look no further than Omni Plumbing & Septic Service. We have the best septic services including tank pumping, maintenance, repair and septic tank cleaning in Erie, PA. If you have not had your septic tank checked in a long time, then it's vital you have an expert in the septic service business come take a look, thus avoiding bigger problems down the road. We have been in the septic service for over 25 years meaning we have serviced many of the homes and businesses in the Erie County. Whether its residential or commercial septic service in Erie, we stand behind our work which is why our customers and clients claim that we provide spectacular septic services. Septic tank problems can be the last thing you want to deal with when you are having a bad day. It can be stressful to have to deal with a septic tank. We are able to clean your septic tank until it looks brand new. That is why you should have your septic tank clean and emptied now before you have to deal with the problem. Omni Plumbing & Septic Service will empty any septic tank in the Erie, PA area. Then we will clean your septic tank until it is as clean and fresh as the first day it was installed. Although we are mostly known for taking exceptional care of the actual septic tank, we know that septic fields are an important part of septic systems. Which is why we will examine the whole septic system upon request including septic pumps, just to make sure that everything is working properly. We can do everything that our rival septic tank and system companies do and more. The septic tank is one of the most underrated pieces of equipment in a home or office space, and if you forget about it and do not have your septic tank treated when you need it treated, then it can be very damaging. If you want professional and reliable septic service in Erie, PA, then look no further than Omni Plumbing & Septic. Omni Plumbing & Septic Service. Omni Plumbing & Septic Service is your trusted company when it comes to septic tank service in Erie, PA. With well over 25 years of experience in the septic and sanitation industry, we have built a valuable reputation among the Erie community. We have a team of highly trained professionals that are willing to go above and beyond to satisfy our customers, because at the end of the day we are here to serve you. 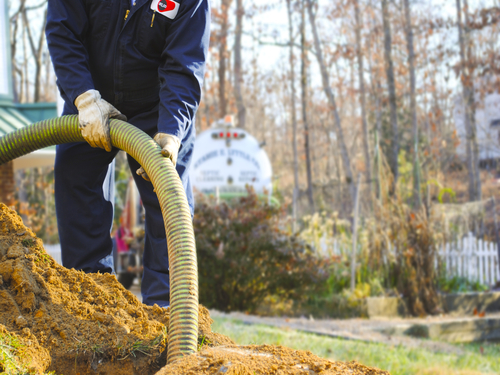 Omni Septic Service specializes in both residential and commercial septic tank pumping services in Erie, PA, in addition to septic tank cleaning, maintenance, repair, replacement, and more. Not sure whether or not your septic tank needs emptied or better yet repaired? It's better safe than sorry especially regarding ones septic system. All too often we have seen devastating incidents occur just because what seemed as minor problem was put off until it became too big of a problem to ignore. Avoid having septic problems of your own, contact Omni Septic today and we'll be more than happy to assess the situation for you. Rest assure that in the event of a serious situation, Omni provides 24 hour emergency septic services in Erie, PA.
24 hour assistance for critical septic services and emergencies. We provide the best septic service results every time. Providing a full range of residential and commercial services. We simply have the best septic services in all of Pennsylvania. We are Omni Plumbing & Septic Service and we will fix all of your septic needs. We have all the machinery for any type of septic treatments you can think of. If you have an issue regarding your septic tank then we have the resources to solve your septic needs. Omni is the only septic repair, maintenance, cleaning, and fixing option for any need you may have regarding your septic tank. Contact us today and we'll be glad to assess any situation. We have emphasized a lot how we will repair, maintain, inspect, and clean your septic tank, Omni Septic Service can do more however. For example, many people call septic tanks sewage tanks. We do all types of sewage work, and if you are looking for sewage tank or sewage system repair in Erie, PA, then Omni Septic is the place to go because sewer tanks and septic tanks are the same thing. Unlike our friendly competitors, we also provide plumbing service with all our work relating to septic systems. Cesspools are used in some septic systems in Erie, PA although it is not as common anymore. Regardless, we still have cesspool maintenance and repair as an option if you need it. Cesspools can be gross if they are not maintained properly and that is why we will help clean out your system. Not only that, but we would love to treat your system and maybe convert it to a more traditional septic tank system. This would greatly improve the future quality of your septic system, and it is well worth the upgrade. We have the knowledge and expertise! Omni Plumbing & Septic Services has been serving the Erie community for over 25 years, it's safe to say we know what we're doing. We understand the seriousness of septic systems which is why you can rely on Omni Septic to be there when you need us most. 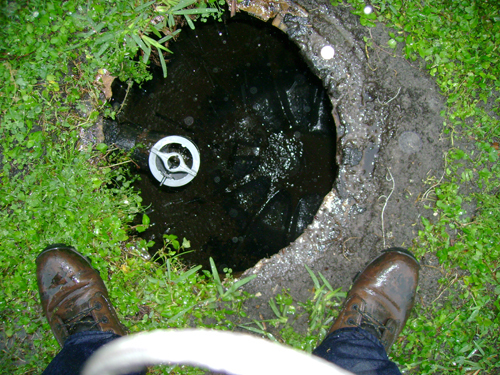 We are well renowned for giving thorough septic tank inspections. If you suspect a problem, let us know and we'll assess it. Contact Omni Plumbing & Septic Service for all of your septic tank needs. Omni Plumbing & Septic Service is most famous for septic tank pumping. You will feel so relieved knowing that you have an empty septic tank for the whole household to use. If you get your septic tank emptied, then it is worth it to go all the way and make the septic tank perfectly clean at the same time. Because we always check the quality of the septic tank itself, we will do any maintenance on the actual tank itself that it may need. 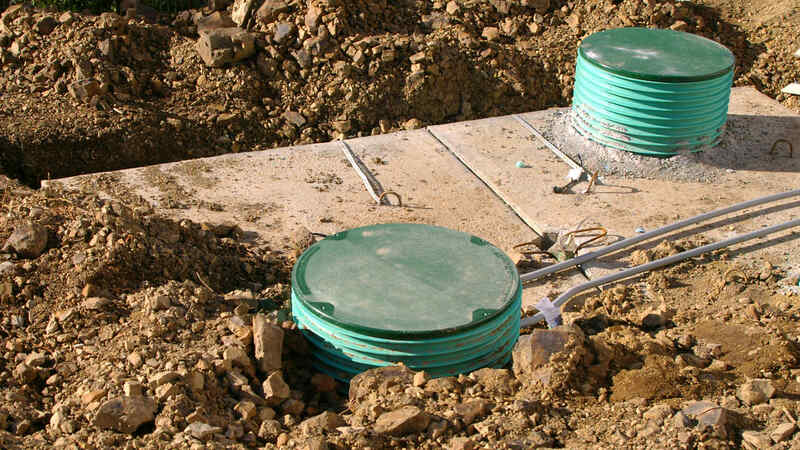 Septic tanks are one of those things you can forget about but it is an extremely important part of septic tank maintenance in the Erie area. Omni Septic Service are here for your needs. If you want your septic tank to be cleaned or emptied, we will make sure that your tank is still strong enough to continue usage. If you need septic system maintenance in Erie, PA, then we are here to maintain your entire septic system for you as well. 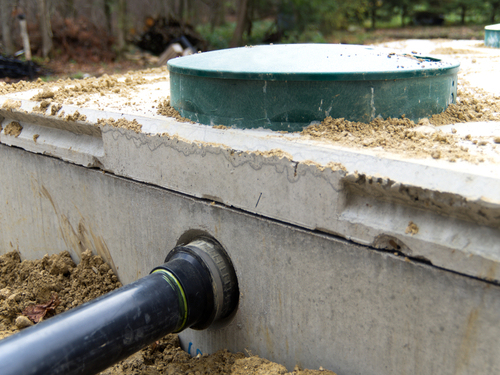 A septic system is a crucial part of any building with running water and sewage. Even if you live in a residential home, you may want a better septic system to go along with your septic tank. We are Omni Septic Service and we have your best septic needs in mind for both business and homeowners. Please take the time to read the short descriptions down below regarding our vast septic system services that are offered and remember that we are just a phone call away if you have any additional question. Septic tank pumping is not something you want to do for yourself, and thankfully we have the resources to pump your septic tank without any issues. It is a crappy job (pun intended) but somebody has to do it, so let us pump your septic tank because we have the experience and the equipment to do so. Septic tank cleaning can mean cleaning the outside of the tank, but typically it means the insid of the tank. A septic tank is an important part of any household and you will feel better knowing that it is not only emptied, but clean too. We always check the quality of the tank itself while we are cleaning your septic tank. Here at Omni Septic Service in Erie, PA, we also offer septic tank care. The thing to remember about septic tanks is that they can not last forever. Over time, we will care for the tank itself to make sure it will not degrade. If your septic tank degrades, it could lead to some serious problem, however, we can fix this problem. If you live in a regular home, you have a septic tank as well as a septic system. But if you have an apartment, office building, store and more, then you may need a more elaborate septic system than the ones used in homes. 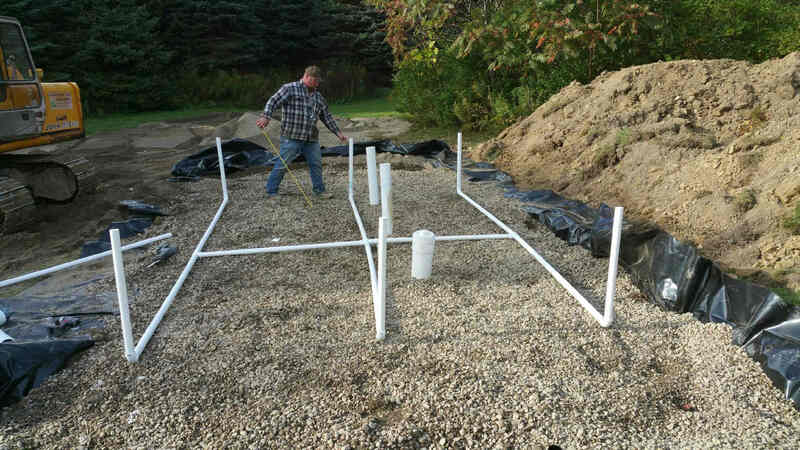 We can install all types of septic systems, big or large, in any building. One aspect of a septic tank and septic systems is the pumps that make the septic system work. These pumps can fail sometimes and it is nearly impossible to fix if you do not call a knowledgeable septic expert. Getting your septic tank fixed now is great insurance to prevent you from having to deal with any larger issues. We will replace your septic tank if it is old and risks problems, or we can also care for the tank over time to make sure it will last longer. In the event that your septic tank may have been damaged, or if just getting old of typical aging wear and tear, we are highly capable of replacing any septic tank. Plumbing & Excavating Services Erie, PA. If you live in the Erie, PA area and you are not sure of how well your septic tank is working, then give us a call because we would love to check your septic system pump for you. Omni Septic Service has all the resources one needs to fix those pesky septic system pumps that can break so easily. We can also check on the whole septic system in general and make sure you are not having septic system problems. We will be able to make these repairs or replacements much easier right after a tank has been cleaned by us. In addition to our spectacular septic services, we also offer a variety of others including but not limited to excavating service in Erie, PA, lift stations, distribution boxes, hauling services, sewer and drainage services, and more. See a complete list of septic services in Erie, PA or simply contact us. We are always available to answer any questions regarding your septic system. It can be stressful to have to deal with a septic tank. That is why you should have your septic tank clean and emptied now before you have to deal with the problem. Receive a FREE septic tank inspection on any septic and drainage field, simply give us a call or fill out the form on our website. As always, we look forward to hearing from you.